Dr. Joanne Kurtzberg serves as Jerome Harris Distinguished Professor of Pediatrics; Professor of Pathology; Director, Marcus Center for Cellular Cures; Director, Pediatric Blood and Marrow Transplant Program; Director, Carolinas Cord Blood Bank; and Co-Director, Stem Cell Transplant Laboratory at Duke. Dr. Kurtzberg serves as an Officer of Alliance for Cell Therapy Now and co-chairs its Advisory Board. 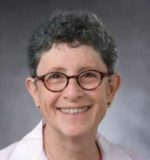 Dr. Joanne Kurtzberg is an internationally renowned expert in pediatric hematology/oncology, pediatric blood and marrow transplantation, umbilical cord blood banking and transplantation, and novel applications of cord blood in the emerging fields of cellular therapies and regenerative medicine. Dr. Kurtzberg pioneered the use of umbilical cord blood as an alternative stem cell source for unrelated hematopoietic stem cell transplantation (HSCT). Over the last two decades, Dr. Kurtzberg has established an internationally known pediatric transplant program at Duke, which treats children with cancer, blood disorders, immune deficiencies, hemoglobinopathies and inherited metabolic diseases. In 2010, Kurtzberg established the Julian Robertson Cell and Translational Therapy Program (CT2) at Duke. CT2 focuses on translational studies from bench to bedside with a focus on bringing cellular therapies in regenerative medicine to the clinic. Recent areas of investigation in CT2, which are funded by the Marcus Foundation, include the use of autologous cord blood in children with neonatal brain injury, cerebral palsy, and autism, as well as preclinical and clinical studies manufacturing microglial oligodendrocyte-like cells from cord blood to treat patients with acquired and genetic brain diseases. Studies of donor cord blood cells and donor cord tissue MSCs in adults with stroke and children with cerebral palsy and autism are also underway. In 2018, Dr. Kurtzberg established and became director of the Marcus Center for Cellular Cures (MC3) at Duke. Dr. Kurtzberg established one of the largest unrelated donor cord blood banks, the Carolinas Cord Blood Bank, in the world at Duke in 1998. The bank has a current inventory of >40,000 units and has provided cord blood units to over 2,500 patients undergoing unrelated donor HSCT over the past 20 years. Dr. Kurtzberg’s lab has developed novel assays enumerating ALDH bright cells to predict cord blood potency from segments attached to cryopreserved cord blood units and is performing translational research testing cord blood expansion, cellular targeted therapies and tissue repair and regeneration. In 2012, under the direction of Dr. Kurtzberg, the Carolinas Cord Blood Bank received FDA approval for DuCord, a stem cell product derived from umbilical cord blood, for use in transplants between unrelated donors and recipients. Dr. Kurtzberg currently holds several INDs for investigational clinical trials. Additionally, she is the co-director of the Duke Hospital Stem Cell Transplant Laboratory. Dr. Kurtzberg has published over 300 peer-reviewed papers, multiple chapters, and scientific reviews. She is a member of the American Society of Hematology, the American Association of Blood and Marrow Transplantation, the American Society of Pediatric Hematology/Oncology, the International Society of Cellular Therapies, the Pediatric Blood and Marrow Transplant Consortium (PBMTC), and multiple other organizations. She has served on the Board of the Foundation of Accreditation of Cellular Therapies, co-chaired the National Marrow Donor Program’s Cord Blood Advisory Group and has served on the Advisory Council of Blood Stem Cell Transplantation to Health and Human Services. Dr. Kurtzberg was awarded a Lifetime Achievement Award from the PBMTC in 2012. Most recently, she established and is the first president of the Cord Blood Association.